Our inspiring and highly successful Tuition-fee School Direct programme is a fantastic route into becoming a teacher. Being enrolled on a full-time tuition-fee programme means that you are classed as a full-time student, Associate Teachers (trainees) are not given sole responsibility for classes and will build up to teaching and planning slowly and gradually with the help of their School-based Mentor. This is therefore the perfect route for someone looking to ease themselves into teaching, building up to taking full lessons, without having sole responsibility for classes. Like all of our programmes, this route incorporates hands-on classroom practice in two placement schools with ongoing training and professional learning sessions. The two block placements of equal length aim to provide a contrasting experience and we will always aim to be flexible with placement locations to accommodate your personal circumstances. Our unique programme begins with a compulsory pre-training week from 8th-12th July where you will get to meet your mentors and visit your first placement school. Then in September you will start the Rapid Development Programme, which provides you with focused support and guidance to develop and test out your ‘teacher’s toolkit’. The time during this intensive programme is divided approximately half and half between training sessions and time in your first placement school. Throughout the rest of the year you will continue to attend professional training once a week. Our training is delivered by some of the best teachers in the county and will always incorporate research and theory as well as practical tips and advice. We have an incredible team of subject specialists that also provide tailored and specific sessions linked to your subject area. The deadline for applications for tuition fee programmes starting in 2019 will be the beginning of June 2019. Don’t hesitate to get in touch with us if you have any specific questions about the course. Being on placement from day one allows you get a feel for what school life is like from the start. The mixture of being at our placement school and in training each week is a helpful balance. I appreciate having regular training sessions whilst being on placement because gives us the opportunity to put what we are learning straight into action. 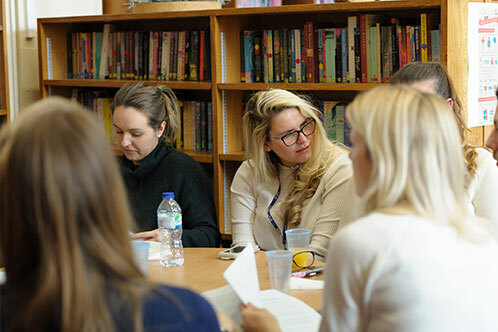 It also means that we can discuss our successes and challenges as they arise with others on the course; working alongside such passionate and determined Associate Teachers is a pleasure and it is really helpful to hear about their different experiences and schools. The fees for our Tuition fee programme are £7,750 for QTS and £9,250 for QTS with PGCE. Scholarships and bursaries are available for some programmes, depending on the degree classification. Please note that the financial award is based on the ITT programme you undertake (i.e. subject you will teach) and not the subject content of your degree. Tuition fee loans and maintenance loans are available from student finance/ Student Loans Company. There are also other financial support options for some applicants depending on circumstances, such as childcare grants, special support grants. We are offering P.E combined with the EBACC subjects (English, Mathematics, Science, MFL, Geography and History). If you wish to apply for these programmes. please apply using UCAS code 2LDN and let us know the subject that you would like to combine with P.E. In order to undertake the programme you must hold an A-level at grade C or above in the companion subject. We also offer combined Biology with P.E (UCAS code 3D2Y full-time and 3D3D part-time) and Maths with P.E (UCAS code 2RJK full-time and 37RX part-time). Please make clear your intention to apply for Biology or Maths with P.E in your application. ** Modern Languages – We generally place candidates with a main language in French, Spanish or German. In addition to the main language we expect all of our Associate Teachers to develop a second language which will usually be from the same list. There is significant support available so that you can develop your expertise in the second language, including through nationally funded ‘Subject Knowledge Enhancement’ courses. The use of GoogleDrive for the online portfolio and the reflective journal really help me to keep track of my work and the progress that I have made throughout the year.